Western Digital presents its third-generation WD S25 SAS HDDs, these new 2.5" enterprise disks offer 10,000RPM and are available in 300GB, 450GB, 600GB and 900GB capacities. Western Digital® (NYSE: WDC), a leader in the desktop, mobile, high-capacity enterprise and consumer markets for hard drives, today announced the availability of its third-generation WD® S25 SAS hard drives, serving the performance-optimized, mission-critical enterprise server and storage market. Shipping now, the new 2.5-inch, 10,000 RPM, WD S25 with SAS 6 Gb/s interface hard drives offer IT professionals a more advanced array of ultra-reliable and efficient, high-performance storage, available in capacities of 300 GB, 450 GB, 600 GB, and 900 GB. The WD S25 line is designed for the most demanding applications such as online transaction processing and multi-tiered networked storage arrays. "Continuing our commitment to the industry's fastest-growing segment -- 2.5-inch drives -- WD is updating our small form factor SAS offering with the advanced technology of our third-generation drive, including a new 900 GB capacity point," said Darwin Kauffman, vice president of enterprise storage solutions, WD. "Our latest generation of WD S25 SAS drives offer a powerful combination of enterprise-class performance and industry-leading reliability that is ideal for demanding high-performance computing and mission-critical environments. WD is also delivering higher capacity offerings and the power efficiency of the small form factor footprint, providing the most efficient storage solution for IT professionals and enabling lower TCO (Total Cost of Ownership)." The new family of WD S25 SAS drives has the speed required to service any enterprise need, delivering high performance with its 6 Gb/s SAS interface. With its small form factor allowing for more system airflow, resulting in lower cooling costs for customers, the latest WD S25 SAS drives require less than 8 watts to operate and have a 2.0 M hour MTBF rating—the industry's highest. WD's third-generation of 2.5-inch SAS drives are also its first to include support for T10 Protection Information (PI) for advanced data integrity, and the first to provide optional models that feature drive-level self-encryption that meets the Trusted Computing Group's specification for Enterprise Class A encryption. WD S25 SAS hard drives are currently shipping to OEMs, with broader availability at select resellers and distributors worldwide later next quarter. 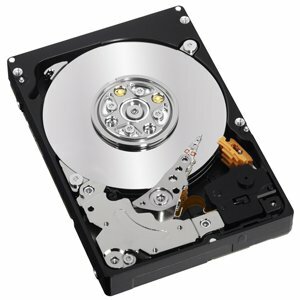 WD S25 SAS hard drives are covered by a five-year limited warranty.